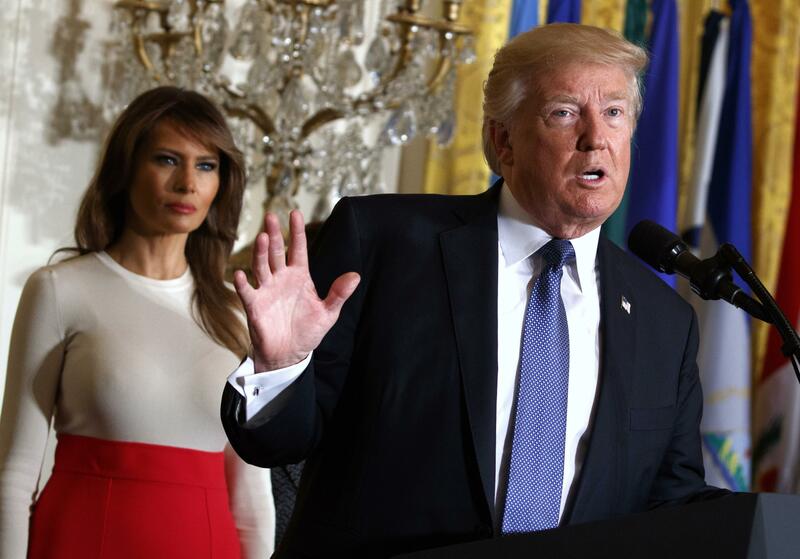 MANCHESTER, N.H. – Embracing the tough penalties favored by global strongmen, President Donald Trump on Monday brandished the death penalty as a fitting punishment for drug traffickers fueling the opioid epidemic. “Toughness is the thing that they most fear,” Trump said. John Blume, a professor and director of Cornell Law School’s death penalty program, said the federal drug kingpin law has yielded few “kingpins” or major dealers, mostly ensnaring mid- to low-level minorities involved in the drug trade. Much of what Trump highlighted Monday was largely repackaged ideas he’s already endorsed. He called for a nationwide public awareness campaign, which he announced in the fall, including broadcasting “great commercials” to scare kids away from dabbling in drugs. He announced a new website, www.crisisnextdoor.gov, where members of the public can share stories about the dangers of opioid addiction. The president also discussed how his policies, including building a U.S.-Mexico border wall and punishing “sanctuary” cities that refuse to comply with federal immigration authorities, will help reduce the flow of drugs. Monday was Trump’s first visit as president to New Hampshire, which has long occupied a special place in his political rise. He captured his first Republican presidential primary here in 2016, though he narrowly lost in the general election to Democrat Hillary Clinton. Trump drew criticism last year after leaked transcripts of a telephone conversation with Mexican President Enrique Pena Nieto showed he had described New Hampshire as a “drug-infested den.” The Washington Post published the transcripts. Though the 2020 election is more than 30 months away, early jockeying already is happening in states that play an outsized early role in choosing a party’s nominee. Retiring Sen. Jeff Flake, R-Ariz., a persistent Trump critic, visited New Hampshire, which holds the nation’s first presidential primary, last week. He told Republicans someone needs to stop Trump – and it could be him if no one steps up. Meanwhile, the president’s daughter, White House senior adviser Ivanka Trump, spent Monday discussing infrastructure and workplace development in Iowa, which traditionally holds the first presidential nominating caucus. Published: March 19, 2018, 8:17 a.m. Updated: March 19, 2018, 11:27 p.m.